There isn’t an entry way larger and more used than your garage door. So wouldn’t you want a durable product and knowledgeable installation team? Feldco is Rockford’s number one garage door replacement company. 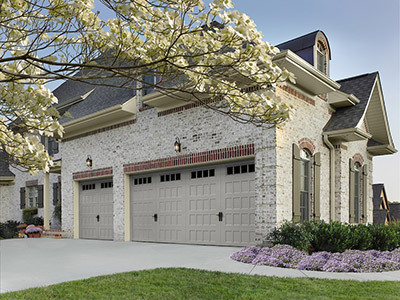 Our garage doors are durable, have many color options and are energy efficient. We pride ourselves on providing Rockford with the best installation team. From removing the old garage door to assisting with a variety of garage door openers, the job isn’t done until the customer has a great experience. We will make sure you are delighted with your new garage door. Midwest weather can take a toll on your garage doors. That’s why you’ll want a dependable and durable product installed by a professional installation team. Feldco offers an affordable, premium product and the best installers in Rockford. Our garage doors are wind-resistant and insulated for protection against the elements and the installation team will ensure your door is both beautiful and operational. 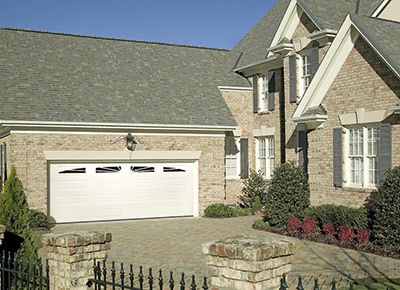 Your garage door can also improve the curb appeal of your home. Whether you are interested in our standard or carriage style garage door, you will be delighted with your Feldco product for years to come! 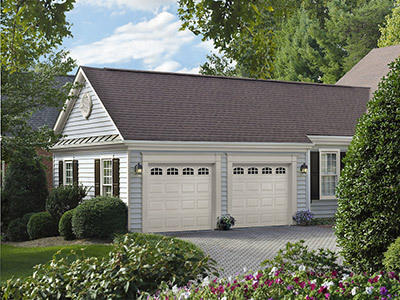 Standard garage doors are designed for energy efficiency and strength – perfect for Rockford’s weather. There are a variety of panel designs and glass inserts to customize your garage door so that it fits your home perfectly. With the style of traditional wood and the durability of heavy gauge steel, carriage style garage doors have the best of both worlds. There are a vast selection of panels and hardware so you can create the garage door of your dreams! It’s important to keep in mind that replacing your garage door will improve your entire home’s energy efficiency – especially in rooms that share walls with your garage. Feldco’s well insulated garage doors are perfect for keeping your home comfortable year round. Even if your garage isn’t attached to your home, you’ll want an insulated door to protect your vehicle and belongings in your garage from the elements outside. Whether you’re replacing your garage door because it isn’t functioning or you want to change the look of your home, Feldco’s Product Specialists will assist you in making the best decision for your replacement garage door. Once the selection is made, our professional technicians and the installers will efficiently install your beautiful garage door. Everything will be much easier than you could have imagined with Feldco.